Chocolate is an indulgent, luxurious and well-loved treat the world over. We’re firm believers that it isn’t something you should go without as a vegan. There are many ways to enjoy vegan chocolate, Easter as a vegan and even zero waste chocolate too. So whether you are searching for vegan-friendly chocolate replacements for yourself or hunting for special vegan Easter treats for a friend, we’ll help you discover the many different types of vegan chocolate available right now in the U.K. and talk about how to enjoy Easter 2019 a little more consciously. Some of the most popular chocolate in the U.K. is typically made with a combination of poor ingredients, from palm oil to artificial sugars and dairy milk. Did you know that there are many harmful side effects of consuming these products? Dairy milk has been linked to a variety of health problems whilst irresponsibly sourced palm oil destroys rainforest habitats and endangers orangutans. But chocolate doesn’t have to be bad for our health or our planet. 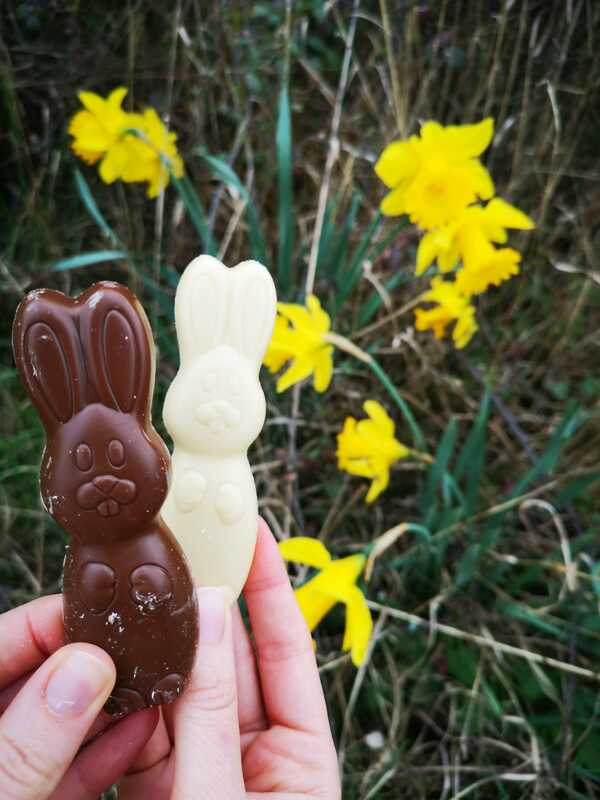 We can still enjoy chocolate, at Easter and through the year, if we look carefully at how the chocolate we are purchasing is made, sourced and produced. Vegan-friendly chocolate is now plentiful in many U.K. stores so if you haven’t tried some yet, we’ll help you discover the best out there! Where Can I Buy Vegan Chocolate UK? If you think vegan-friendly chocolate is always super expensive, think again. One of the best value for money bars you can get is Sainsbury’s Basics Dark Chocolate Bar at just 50p. This product has the exact same ingredients as Just Chocolate for a fraction of the cost. Please note: although the listed ingredients in this bar do not contain milk, the allergy advice given states that this product may not be suitable ‘for anyone with a milk allergy due to manufacturing methods’. With a range of vegan-friendly chocolate bars, Montezuma is a great option if you are looking for something a little different to just plain dark chocolate. With exciting flavours like ‘Sea Dog’ and ‘Spice It Up’ no one can say that this chocolate is plain. Montezuma is also a British based company who provide many of their chocolate bars in recyclable cardboard packaging. 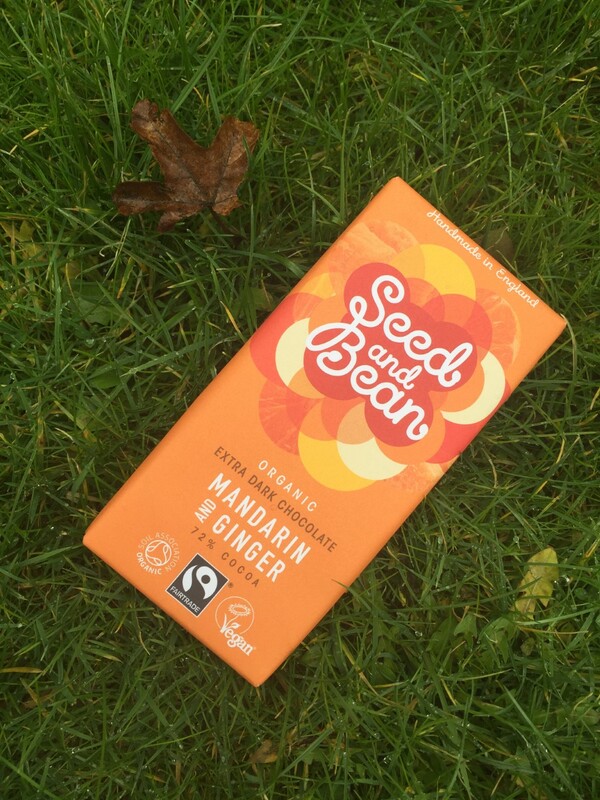 We also find Seed and Bean’s Mandarin and Ginger chocolate ideal for vegan indulgence. Seed and Bean chocolate bars are also produced in the U.K. and use inner foil wrappers that are even compostable at home! 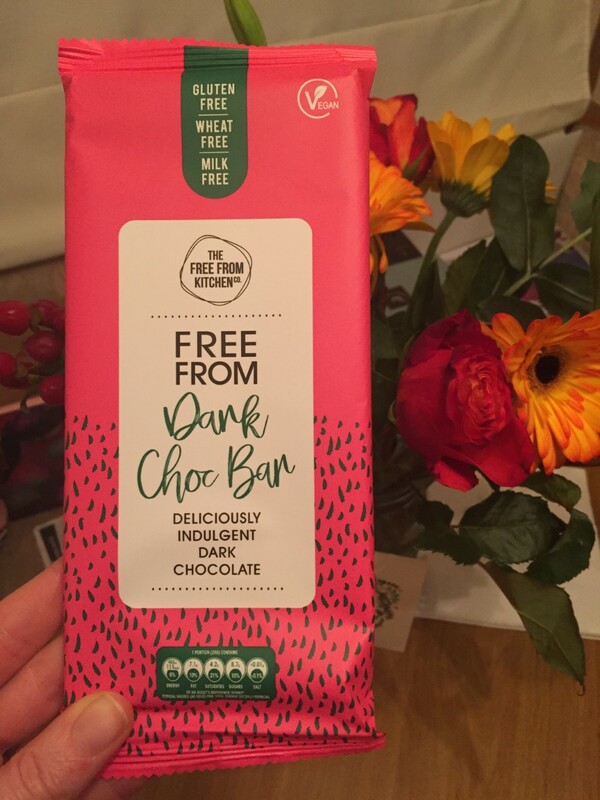 The extensive Free From range in Sainsbury’s includes everything you could wish for from simple chocolate bars to chocolate drops for baking and even chocolate bunnies, ideal for a fun Easter treat. These little bunnies are perfect for Easter hunts along with the Free From Chocolate coins. Our only concern with the Free From by Sainsbury’s range is that the packaging is ‘not yet recycled.’ We’re sure you’ll agree, if this range could be altered to fully recyclable packaging, this product range would be pretty damn unbeatable. Our absolute favourite vegan-friendly chocolate bars at the moment come from the Ombar vegan chocolate range in compostable and upcycled bags. Available in a variety of exciting flavours and sourced from responsible cacao farms, we are so pleased to have discovered Ombar in the past year. The handy, mini-size chocolate bars are perfect for work, your handbag or a Spring picnic. If you’re looking to try a real variety of different vegan chocolates, sweets and treats, we highly recommend a popular goodie box with The Vegan Kind. It’s so wonderful to finally be able to buy vegan Easter eggs in U.K. supermarkets. In our opinion, the best selection of vegan Easter eggs 2019 can be found in Sainsbury’s. From a faithful ‘milk’ chocolate option to a more glamorous pink chocolate egg, you’ll easily find a vegan Easter egg to suit your friend, partner, son, mother, uncle, granddaughter or anyone else you might want to buy one for! When it comes to smaller Easter eggs, we feel Montezuma have taken the trophy again. At this time of year, for a simple and fun Easter treat, choose Montezuma Dark Chocolate Peanut Butter Mini Eggs. 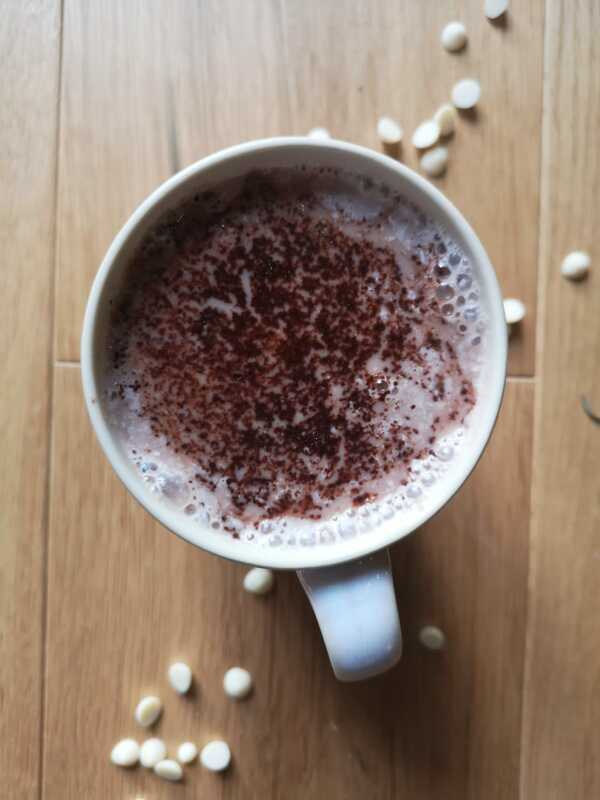 Alpro Soya Chocolate Milk – this makes the best chocolate milkshakes for Easter breakfast! Yes, zero waste chocolate is a thing! With zero waste stores popping up across the country, and our very first one in Essex recently opened, why not consider a zero waste easter treat for a loved one this year? Typically, Easter eggs are sold in excessive plastic packaging so get creative and purchase loose chocolate in all different shapes and flavours this Easter and then re-use some packaging you already have to gift this chocolate to your family and friends. Kids will love shopping in a zero waste store for Easter goodies where the fun involves getting to weigh out their own chocolates. Discover The Refill Room in Leigh on Sea for your Easter 2019 zero waste chocolate needs – don’t forget to take your own bag or container. You can also find zero waste stores in other locations nationwide but certainly, they are still few and far between. If you don’t live near a zero waste store but would still love to have a zero waste Easter 2019, it’s time to get creative. There’s definitely even more fun to be had in making some of your own chocolate treats at home, from baking to chocolate moulding. Of course, the very best way to know that the chocolate you are eating is as natural and good for you as possible is to source raw cacao and try one of these exciting vegan chocolate recipes, highly recommended by the members of Vegan Women International. 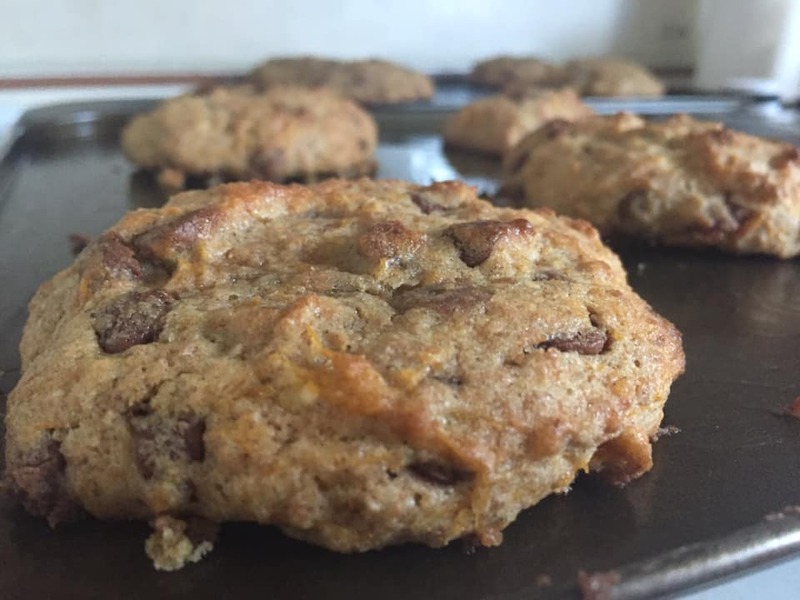 You may also like 5 Uses for Pumpkin where you can discover these delicious Pumpkin Chocolate Chip cookies. Whether you want actual chocolates to give away this Easter or would like to whip up something different, like brownies and chocolate ice cream, we’ve got the best vegan chocolate recipes for you to try at home. They’re super simple so anyone can make them, the ingredients are all vegan and mainly raw, and you’re guaranteed to have something unique that no one else is bringing to the Easter table. Baking and cooking at home is great fun for kids and adults alike, and it creates the perfect Easter family activity too. You may also like these 5 Ways To Reduce Single-Use Plastic. Using just tahini, raw cacao, coconut oil, maple syrup and Himalayan salt, these little chocolate hearts are plant-based pockets of love. Simply mix, mould, freeze and indulge! It really is that easy. You can find the full recipe here. Simply blend everything together in a high-speed blender to get delicious and healthy chocolate ice cream which is not too sweet. Find more information about how this recipe can help combat fatigue at nutritionfacts.org. Lily Marlene from Vegan Women International was kind enough to share her recipe for delicious vegan chocolate brownies made from raw cacao. If you like, add either cold coffee, a bit of chilli or some chocolate as well for a richer taste. Simply mix all of the ingredients and bake for about 30 minutes on 180 C.
A Vegan Chocolate Easter Hunt using Free From By Sainsbury’s Chocolate Bunnies and Chocolate Coins, Ombar’s Chocolate Buttons bags and Montezuma’s Peanut Butter Mini Eggs. Design a wonderful homemade Vegan Chocolate Hamper for a vegan friend with Green and Black’s Hot Chocolate, a selection of our top vegan chocolate bars and some home baked chocolate brownies! Enjoy creating your own vegan Easter chocolates with the Tahini Caramel Hearts Recipe shown above but try using a variety of Easter-themed moulds, from baby chicks to fluffy sheep, or even just a simple egg mould. The choices are endless when it comes to vegan chocolate products, so it would be rude to only enjoy them at Easter. Vegan chocolate is so much better for your health than more well-known brands and typically has a much lower environmental footprint too. Keep some cheeky chocolate drops in your fridge for spontaneous vegan baking, hide an emergency vegan chocolate bar in your desk at for long days at the office or indulge in the latest vegan Easter chocolate with friends and family as you celebrate this Spring. You may also be keen to discover the huge Benefits of Going Vegan. If you’re new to vegan food shopping, we hope that this guide has been super handy. Please give it a like or send us a comment if you have any questions. If you know someone else hunting for vegan Easter treats this year or would like to send a subtle hint to a partner or friend to treat you, share this page on social media by using the icons below.